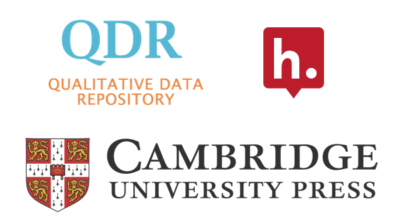 Cambridge University Press (the Press) has partnered with the Qualitative Data Repository (QDR) and Hypothesis to pioneer a new approach to making qualitative and multi-method research more transparent: Annotation for Transparent Inquiry (ATI). 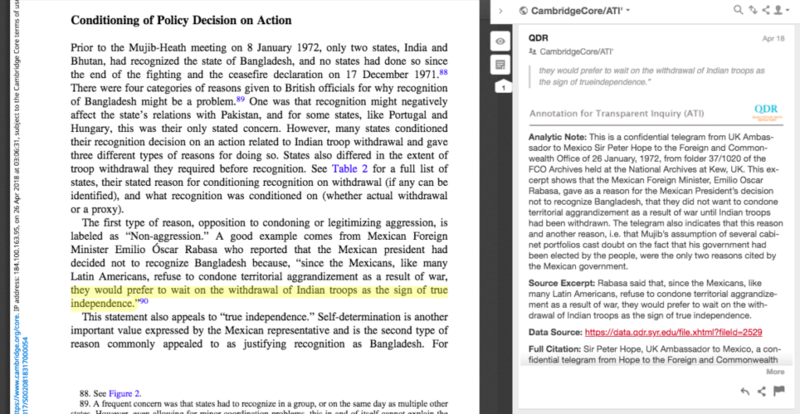 The eight Cambridge University Press articles were annotated as part of the ATI Initiative, which includes a workshop series supported by the Robert Wood Johnson Foundation, as well as by the National Science Foundation. The ATI Initiative is intended to encourage the early adoption of ATI by research communities, and engineer requirements for service models and technical features that support authors who use ATI to increase openness in qualitative research. Read more about ATI on the QDR blog. Cambridge University Press is part of the University of Cambridge. It furthers the University’s mission by disseminating knowledge in the pursuit of education, learning and research at the highest international levels of excellence. Its extensive peer-reviewed publishing lists comprise 50,000 titles covering academic research and professional development, as well as school-level education and English language teaching. Playing a leading role in today’s international marketplace, Cambridge University Press has more than 50 offices around the globe, and it distributes its products to nearly every country in the world. For further information about ATI, please contact QDR’s Associate Director, Sebastian Karcher. To talk about enabling annotation on your publication, contact Hypothesis Director of Partnerships Heather Staines.